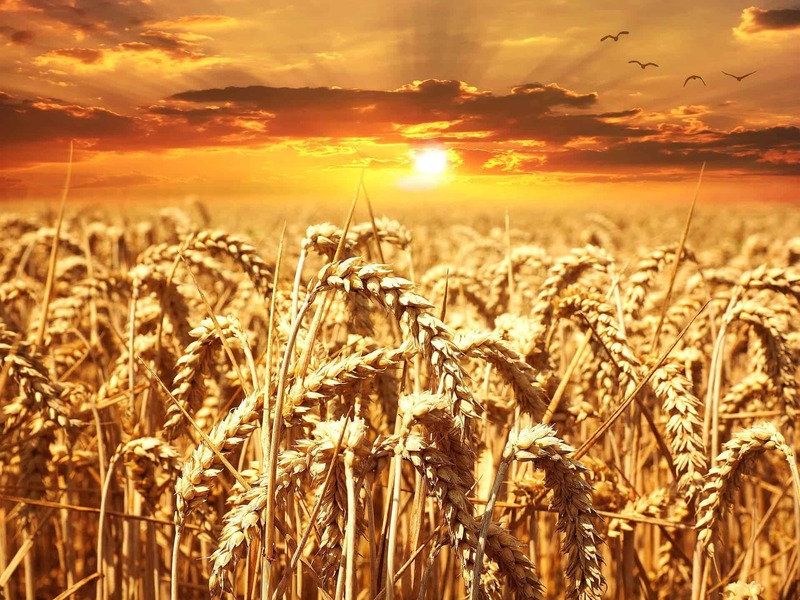 British researchers from the University of Oxford demonstrated a crop spray that which improves the efficiency with which wheat can generate sugar during photosynthesis. As a result, the wheat makes bigger grains resulting in improved yields as great as a fifth. According to a meta-study, genetically modified crops increased crop yields by 22 percent, reduced pesticide use by 37 percent, and increased farmer profits by 68 percent. Despite their success, GMO crops are controversial and the public is generally against them. However, as a world’s population swells and becomes wealthier, demand for protein-rich food is set to skyrocket making GMOs a necessity, unless there are better alternatives. It’s estimated yields have to increase by 70% until 2050 to meet this demand. One such alternative might be the new molecular spray described in the journal Nature. 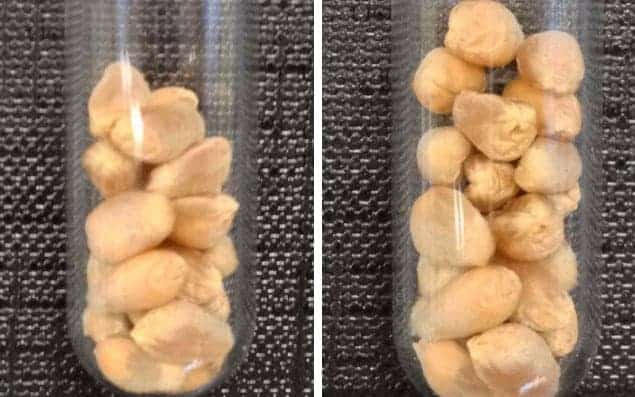 “The tests we conducted show real promise for a technique that, in the future, could radically alter how we farm not just wheat but many different crops,” said Professor Ben Davis, of the Department of Chemistry at Oxford. “The Green Revolution in the 20th century was a period where more resilient, high-yield wheat varieties were created, an innovation that has been claimed to have helped save one billion lives. By now developing new chemical methods based on an understanding of biology, we can secure our food sources and add to this legacy,” he added. The spray contains a molecule called trehalose 6-phosphate (T6P) that controls how sucrose is generated and used by the wheat crop. When the spray comes in contact with the crop, more sucrose was drawn into the grain to make starch. Harvest from untreated and treated wheat, respectively. Credit: OXFORD UNIVERSTY/ROTHAMSTED RESEARCH. The same study suggests the spray also enhances the plant’s ability to recover from drought. No adverse effects have been reported thus far. If these results can be replicated in the field, then farmers might have an immensely powerful tool at their disposal. Hopefully, the same solution might work with other crops as well, particularly the grainy variety. “The next stage of work is to replicate this experiment as much as possible in the field in different environments, for which we’ll need to understand how to scale up production of the T6P precursor and determine the effect that more variable conditions may have on results,” said Dr Matthew Paul, Senior Scientist – Plant Biology and Crop Science, Rothamsted Research.